Thomas Jefferson spent much of his life designing, building and rebuilding his home – Monticello. It’s a house with many tales to tell, and at the end of May a local opera company intends to sing some of them in a first-of-its-kind performance. 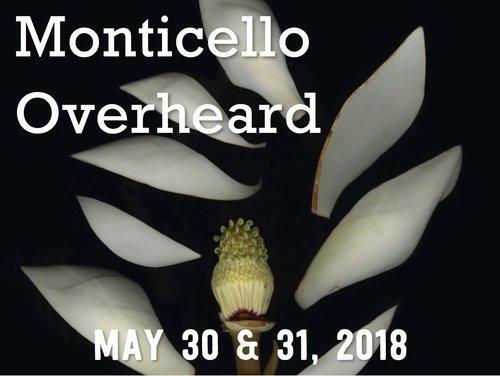 Monticello Overheard is an original production by Victory Hall Opera, a Charlottesville company led by singers Brenda Patterson and Miriam Gordon- Stewart. The two got grants to research the 238-year history of the house and its residents. “Think of Monticello as a shell that you could hold to your ear – as a collection of memories that happened in the house, from the early days of Jefferson courting Martha through her death, and then his travels to Paris and Sally Hemings traveling to Paris to accompany his daughter,” Gordon-Stewart explains. Charlottesville's Victory Hall Opera is the first company to perform at Monticello, with an original score remembering Thomas and Martha Jefferson, Sally Hemmings and others who lived there. They also combed through Jefferson’s library of musical scores. “There is everything in there from Irish folk songs to solo violin music -- Jefferson was a violinist. There was some opera in there, for example Don Giovanni seemed to be a favorite, some Mozart and some other things, hymns, so it’s a really wide collection of music,” Gordon-Stewart says. They then crafted a short opera – under an hour in length – a kind of audio collage that also features the music of slaves who served the Jefferson family and excerpts from another composition called Sally Hemings’ Diary. On May 30th and 31st Victory Hall will share the first opera ever heard live at Monticello. Only fifty people can be seated in the lobby, so the company has scheduled four performances along with wine, cheese and an introductory talk.